What Genre Is LoL (League of Legends)? What genre is LoL (League of Legends)? If you're asking yourself this question you aren't alone. With the explosion of the games popularity people are wondering what genre the game belongs to. 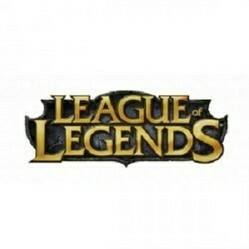 If you haven't followed League of Legends from the start and the original Dota before that the whole story of the genre can be quite confusing which is the questions I hope to answer on this page. Be sure to participate in the poll below and cast your vote for the genre and share your thoughts in the comment section. The origins of League of Legends can be traced back all the way to a Blizzard game, Warcraft III. Part of this game (which was actually a real time strategy experience) was the ability to edit maps and from this players would create their own custom scenarios or maps for other players to enjoy. One of these custom maps was so in depth in design that it actually changed the game objectives completely and this was Defense of the Ancients or DotA. While the game grew rapidly and changed hands several time it was eventually let down by the fact that it was a game within a game and lacked the extra features that it needed to really see mainstream success. The game is still played today (and I still love it) but the restricting features meant that the game never achieved it's potential in my opinion. It's from this idea though that League of Legends was born with participation from one of the administrators that managed DotA for an amount of time. Now that League of Legends has gone big a large number of different genre titles have been applied to the game and the genre as a whole. MOBA: The best common and popular genre title that is applied. MOBA stands for multiplayer online battle arena which covers both the multiplayer style of the game, the online aspect, the fights between players and the fact that the game is set on a single arena style map in most games from the genre. ARTS: A smaller number of people that follow the genre consider League of Legends and similar games to be an action real time strategy game or ARTS. I do agree with where they are coming from with this title as the game is a more action orientated approach to real time strategy. I personally struggle with this though because traditional RTS games give you more grand control. Tactical Team Based RPG: Another definition that gets tossed around a lot when the question of "what genre is LoL" comes up and it has some elements that I do agree with, you've got to make tactical decisions and the game is team based. Even the RPG features are there as you develop your character with stats and skills. Honestly this is my second preferred title for the genre after MOBA.